HMD Global’s Nokia may be just two years into its reawakening, but it’s already embracing the latest trends like a bezel-less display and dual cameras. Take the new Nokia 6.1 Plus that launched today in India for instance. It’s the first Nokia phone with a notched display, marking a departure from the design cues seen in its predecessors. There’s also a capable mid-range chipset, Android One certification, dual cameras and a compact form factor, that makes it all the more interesting. However, with stalwarts like the Redmi Note 5 Pro ruling the market in that price range, will the Nokia 6.1 Plus be worth your money? Let’s find out. 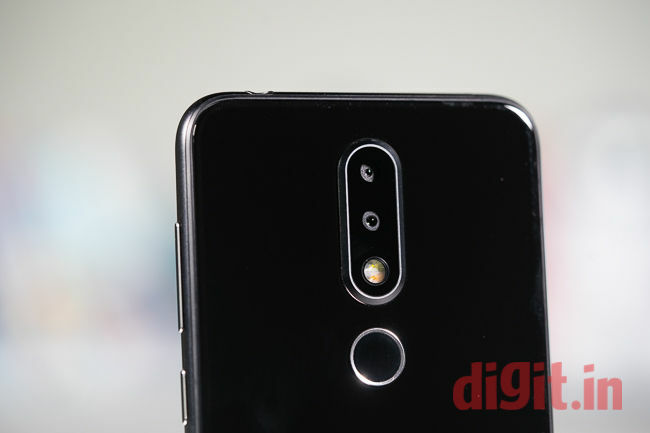 The Nokia 6.1 Plus is a departure from the design philosophy Nokia settled into with the previous offerings in the mid-range segment. Gone is the copper lining and the sturdy metal build. Instead, the 6.1 Plus takes inspiration from the Nokia 8 Sirocco to offer a glass sandwich design housed within a thick, sturdy aluminum frame. It isn’t the slimmest phone out there, but it’s comfortably compact. I could almost reach the other end of the display with just one hand, so someone with larger hands will have no problem using it single-handedly. The glass on the back and the front is protected by Corning Gorilla Glass 3. Despite that, I would still recommend a case as glass bodies generally tend to crack easily. 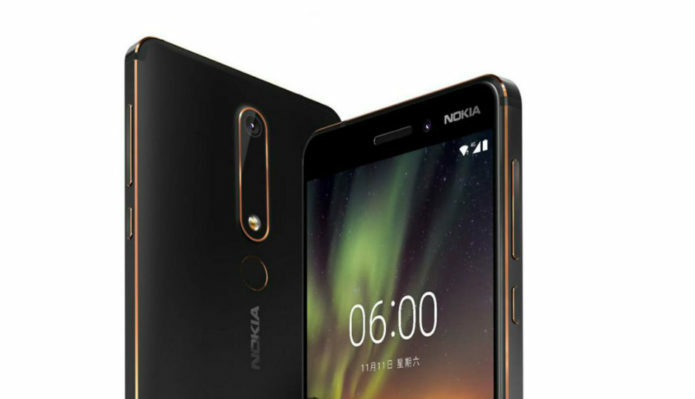 On the back, the dual camera unit is centrally placed and has raised contours around it, much like the Nokia 8 Sirocco. The fingerprint sensor is placed right below and I had no problems locating it with my finger. We received the black variant of the phone for review which has stainless steel accents around the camera and the buttons. That renders a premium feel to it. Up front is an all new notched display. New for Nokia, that is. This is the first time the company is trying out the in-vogue design and depending on which side of the notch debate you are in, you either like it or hate it. 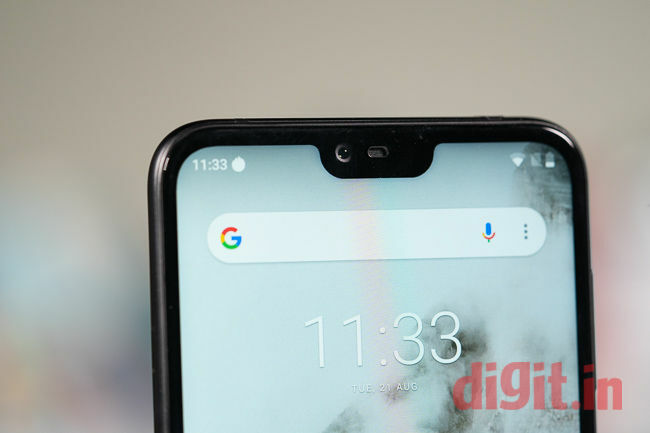 The size of the notch is relatively smaller than what other phones have. 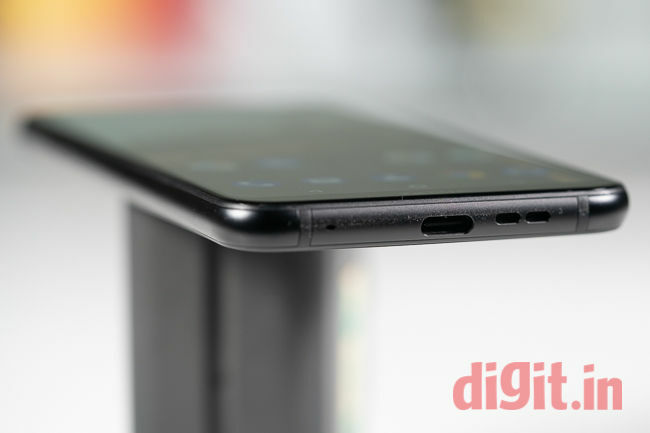 It houses only the front camera and the ear-piece, which makes me wonder perhaps the notch was simply about trying something new. It doesn’t serve a specific purpose other than allowing a 5.8-inch panel fit into a 5.8-inch body. There are also significant bezels on the bottom and thin ones on the sides. I wouldn’t call it the most immersive display by any means. The panel on the Nokia 6.1 Plus seems functional at best. The extra 0.3-inch space is taken by the notched area that houses the notifications icons, clock and the likes. You can, of course, hide the notch in the Settings but that takes away the extra real estate. However, while playing videos on YouTube and Netflix, the content adapted itself to the notch, using only 5.5-inch of space leaving the rest darkened. Since this is an LCD panel, the blacking out of the notch isn’t as prominent as phones with AMOLED panels and is quite visible. The content on the screen is quite bright and vibrant. In fact, that’s almost the same with every phone in that price range these days. I streamed a few episodes of the Crown on Netflix and was quite impressed by the colours. While streaming, I realised this isn’t a video-consumer’s phone. The real estate is just too small to enjoy an action-packed episode fully. Although, if you have to watch something on the metro during rush hour, it’s compact size gives you a good grip. Nokia gives you the option to turn on night light and adaptive brightness. There’s also the option to turn on ‘ambient display’, that discreetly lights up the screen when there’s a new notification. The display is the highlight of the Nokia 6.1 Plus’ design and while it definitely looks good, the compact size of it may not be up to everyone’s taste. 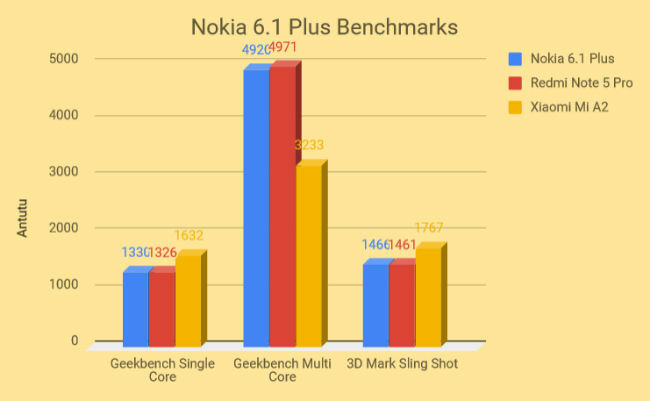 The earlier Nokia 6 phones were criticised for lacking horsepower in the performance segment. The first Nokia 6 came with an entry-level 4-series Snapdragon processor, while the Nokia 6.1 came with a Snapdragon 630 that was easily outperformed by the Snapdragon 636 in the Redmi Note 5 Pro. The Nokia 6.1 Plus, thus, takes no chances. It is also powered by the Snapdragon 636 that uses Kryo cores clocked at 1.8GHz coupled with an Adreno 509 GPU and 4GB of RAM. There’s 64GB of storage to go along with it, with the option to expand it via a microSD card. Although, you have to choose between an expandable storage and a second SIM card. 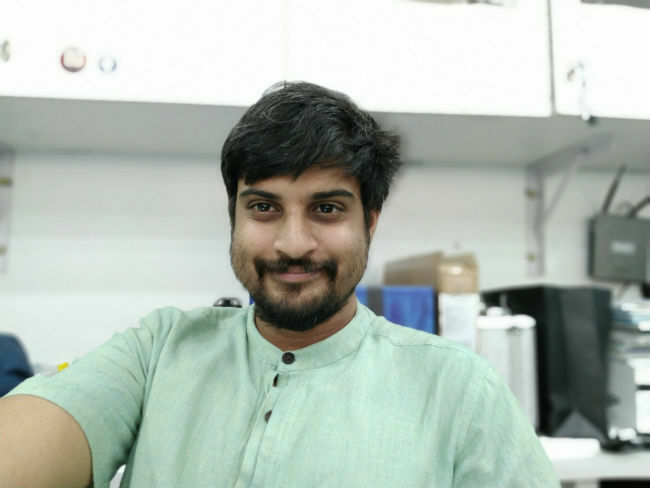 The point to note in this case is that even though the Nokia 6.1 Plus runs on the Snapdragon 636 which was so far the fastest chipset in the mid-range segment, the Mi A2 and the Honor Play with the top-of-the-line Snapdragon 660 and flagship Kirin 970 SoC sort of spoil the party for Nokia. But that’s something only speed enthusiasts will look into. For an average user, the Snapdragon 636 is perfectly capable in handling day-to-day tasks. The benchmark reports confirm that. 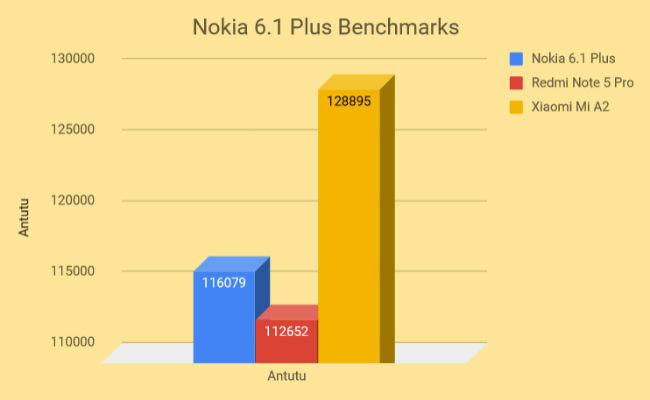 On AnTuTu, the Nokia 6.1 Plus scored 116079 against Redmi Note 5 Pro’s 112652, while on Geekbench Single and Multi Core tests, it received 1330 and 4920 respectively, as against RN5 Pro’s 1326 and 4971. As for Graphics, the 3D Mark Slingshot test gives a score of 1466. All this show that the Nokia 6.1 Plus is right up there with the best-selling phone in that segment. Add to that the simplicity of pure, stock Android and the Nokia 6.1 Plus becomes a good alternative to those who don’t prefer MIUI. In real world usage, the 6.1 Plus is fast and snappy. There weren’t any noticeable lags or slowdowns and apps launched with the expected waiting time of around 2-3 seconds. This is an Android One Certified phone which means you will receive regular security updates along with a promised upgrade to Android 9 Pie when it becomes available. While day-to-day tasks like browsing, shooting, social media and the likes performed without much of a hitch, gaming isn’t all that good on this phone. High-end games like PubG Mobile ran on medium graphics with some frame-drops. For a casual gamer though, this shouldn’t be a problem. The Nokia 6.1 Plus comes across as a phone not for enthusiasts, but for those looking for a reliable performer. It certainly won’t thrill the speed-seeker, but if you are looking for a well-rounded, dependable, compact performer, the 6.1 is a good option. The Nokia 6.1 Plus comes with a dual camera unit at the back. The primary 12MP sensor has an aperture of f/2.0, 1um pixel pitch and PDAF while the secondary 5MP sensor with aperture f/2.4 is used for depth-sensing. Up front is a 16MP camera with f/2.0 aperture for selfies. Feature wise, the 6.1 Plus can take portrait shots, bothies (of course! ), UHD 4K videos and more. However, this does not use the Pro Camera app like the Nokia 6.1 and the 7 Plus does. 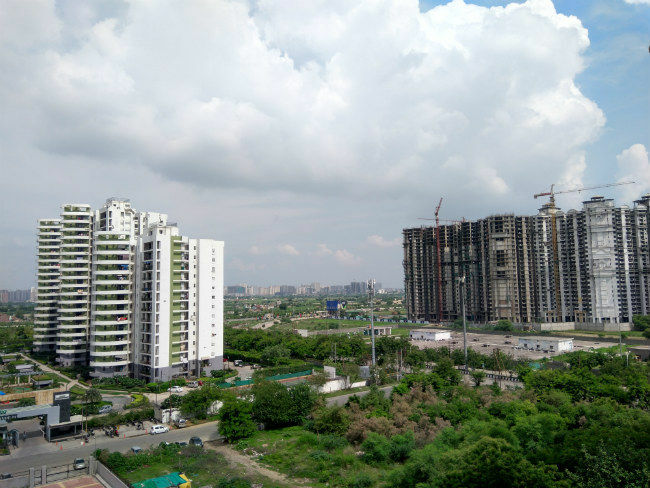 The camera app on the Nokia 6.1 Plus is quite cluttered as a result, with big icons taking up space in the viewfinder. The options are also quite confusing to search as you only see the icons and no text whatsoever. It has in-built beauty effects powered by machine learning, something that most OEMs have been dabbling with for some time. 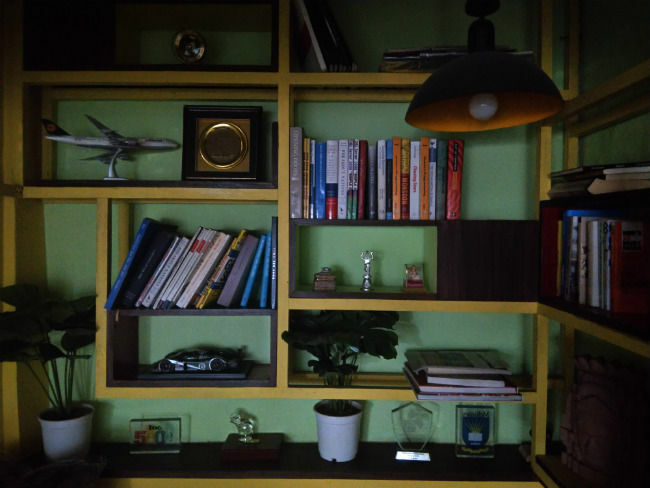 With ample light, the camera of the Nokia 6.1 Plus gives good results. It focuses quickly but there is a slight shutter lag, which means you have to keep your hands steady. The results come off sharp and saturated. It’s not clear whether the AI imaging is working because there’s no way to turn it on or off. Like most phones, the Nokia 6.1 Plus is quite capable of shooting pleasing daylight shots. The weakness becomes apparent when shooting indoors. The camera takes some time to focus and there is significant shutter lag, which combined with a lack of stabilisation, means one needs to have very steady hands. 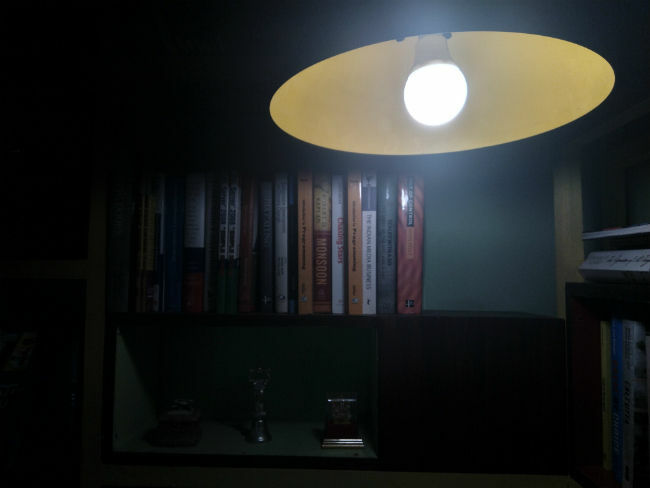 Furthermore, focusing on a source of light will darken the entire frame almost completely. The resulting shot when the exposure is just about right isn’t all that desirable though. It’s hazy and lacks sharpness. 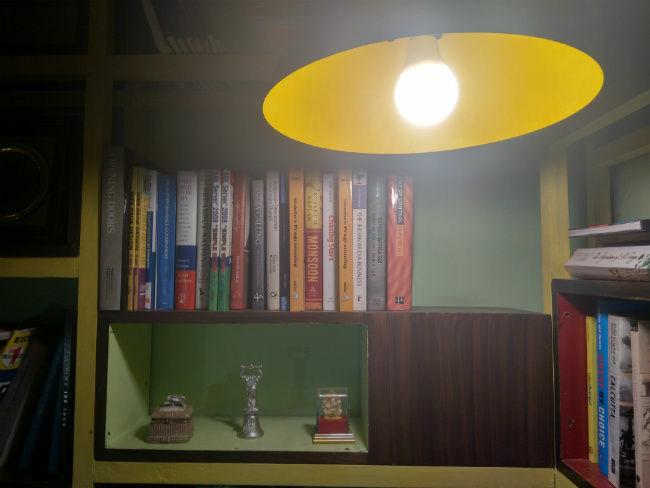 Low-light photography is the most difficult aspect for OEMs to nail and the Nokia 6.1 Plus seems to be no different. An aperture of f/2.0 means the shutter needs to be open for longer and that calls for steady hands again. There’s lesser noise though, but parts of the frame which are dark don’t have any detail at all. The portrait mode of the Nokia 6.1 Plus uses the secondary sensor for depth information. You can also control the amount of background blur in the frame while shooting. The camera could detect objects that are behind the object under focus and blur them out accordingly. The bokeh is not as aggressive as we have seen in Honor phones, but the resulting shot lacks the sharpness that one sees in the Redmi Note 5 Pro. The front camera of the phone is the same 16MP sensor at the back. It takes decently well-detailed selfies that are sharp and saturated. There’s a beauty mode that removes marks and blemishes from your face, but I would recommend shooting with that turned off for better results. The Nokia 6.1 Plus comes with a 3,060mAh battery that is underwhelming, to say the least. In the mid-range segment, a powerful battery is a big factor in convincing buyers. It seems, in its bid to offer a compact design, Nokia had to sacrifice long battery life from the phone. In our PCMark Work 2.0 test, the phone received a rating of 5 hours 10 minutes, which is just about average. In real life, the phone will last just about a typical work day that starts at 9 AM till 7 PM. During my time with the phone, I used it to take photos, browse social media and play games (for about 30 minutes), after which I had to plug it in for charge. The Nokia 6.1 Plus comes off as a potential alternative to the best-selling Redmi Note 5 Pro. With similar hardware powering the two, the choice comes down to the software and user interface one is comfortable using. The Nokia 6.1 Plus is also more compact, making it easy to hold and use. 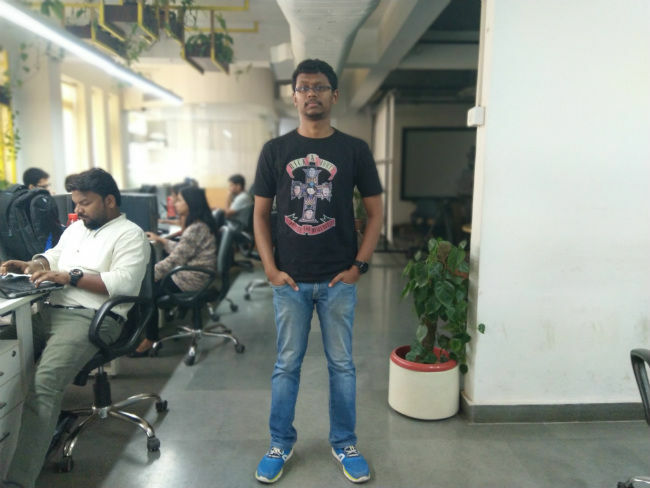 It’s camera, however, is a tad underwhelming and cannot hold a candle to the likes of the Redmi Note 5 Pro or the Xiaomi Mi A2. The Xiaomi Mi A2, in fact, comes off as a better alternative for stock Android lovers. 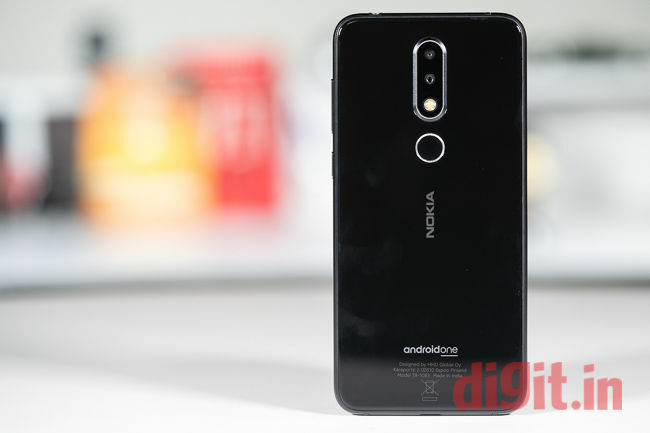 Get the Nokia 6.1 Plus if the Xiaomi Mi A2 is out of stock, which should happen often considering Xiaomi’s track record.